Different compounds have been reported as biomarkers of a smoking habit, but, to date, there is no appropriate biomarker for tobacco-related exposure because the proposed chemicals seem to be nonspecific or they are only appropriate for short-term exposure. Moreover, conventional sampling methodologies require an invasive method because blood or urine samples are required. 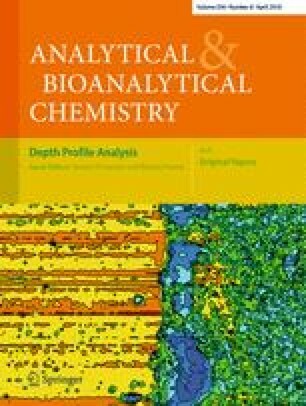 The use of a microtrap system coupled to gas chromatography–mass spectrometry analysis has been found to be very effective for the noninvasive analysis of volatile organic compounds in breath samples. The levels of benzene, 2,5-dimethylfuran, toluene, o-xylene, and m- p-xylene have been analyzed in breath samples obtained from 204 volunteers (100 smokers, 104 nonsmokers; 147 females, 57 males; ages 16 to 53 years). 2,5-Dimethylfuran was always below the limit of detection (0.005 ppbv) in the nonsmoker population and always detected in smokers independently of the smoking habits. Benzene was only an effective biomarker for medium and heavy smokers, and its level was affected by smoking habits. Regarding the levels of xylenes and toluene, they were only different in heavy smokers and after short-term exposure. The results obtained suggest that 2,5-dimethylfuran is a specific breath biomarker of smoking status independently of the smoking habits (e.g., short- and long-term exposure, light and heavy consumption), and so this compound might be useful as a biomarker of smoking exposure. Extracted GC-MS chromatograms (m/z=78, 91, and 96) from a smoker and a healthy nonsmoker person. The online version of this article (doi: 10.1007/s00216-010-3524-z) contains supplementary material, which is available to authorized users. We gratefully acknowledge the financial support of the University of Girona (project # 003798, R+D grants within the framework of IdIBGi 2006) and MICINN (project # CTM2008-06847-C02-02/TECNO). M. Alonso acknowledges the Spanish Ministry of Education for her research grant (AP2008-01628). We would like to thank the staff and students who have participated in the study.